The British Psychological Society is the representative body for psychology and psychologists in the UK, and is responsible for the promotion of excellence and ethical practice in the science, education, and practical applications of the discipline. Through its Royal Charter, the Society ensures that all Society members conduct themselves according to a strict code of conduct. The title of Chartered Psychologist is legally recognised and reflects only the highest standard of psychological knowledge and expertise. The HCPC is a UK multi-profession regulator, and is the body responsible for regulating the designated title of ‘Practitioner Psychologist.’ The main purpose of the HCPS is to protect the public. To do this, they keep a Register of Psychologists who meet their standards for training, professional skills, behaviour and health. 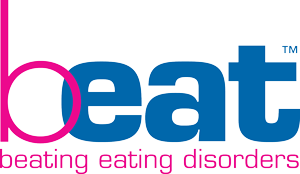 Beat is the UK’s leading eating disorder charity. Their vision is an end to the pain and suffering caused by eating disorders. They have been a champion, guide and friend to anyone affected by these serious mental illnesses since their founding in 1989 as the Eating Disorders Association, giving sufferers and their loved ones a place where they feel listened to, supported, and empowered. MIND is the leading mental health charity for England and Wales. Among its many roles, MIND campaigns and promotes mental health, provides supportive and reliable information regarding mental health issues, and offers quality training to professionals. The National Eating Disorders Association (NEDA) is a non-profit, American organization dedicated to supporting individuals and families affected by eating disorders. NEDA is dedicated to providing education, resources and support to those affected by eating disorders. Samaritans provides confidential non-judgmental emotional support, 24 hours a day for people who are experiencing feelings of distress or despair, including those which could lead to suicide. Samaritans is available to anyone in the UK and Ireland. The BDD Foundation provides extensive and up-to-date information on Body Dysmorphic Disorder (BDD). It aims to increase awareness and understanding of BDD, as well as reduce the stigma, discrimination and isolation caused by BDD.